King George III or Abraham Lincoln? 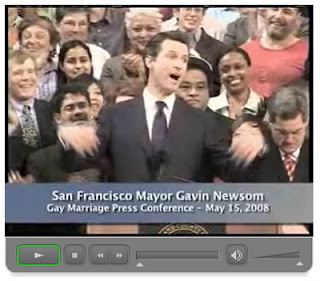 There is a TV ad currently being run in California showing a triumphant Gavin Newsom, current mayor of San Francisco, loudly proclaiming "This door's wide open now. It's gonna happen. Whether you like it or not." I don't know how people can just sit there and accept it when any public figure figuratively spits in their face and says, "LIKE IT OR NOT, YOUR'E GONNA DO WHAT *I* WANT!!" I thought bullies were frowned upon in this country. I thought this was a democracy. I was taught that we VOTED on important issues, and the majority WON. When did we become a nation of bullies, where the "tough" who screams the loudest can enforce his will on everybody else? 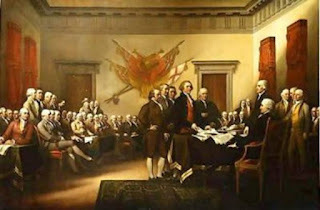 That's not the America I grew up in; that's not the America my ancestors fought to create and preserve; that's not the America I want to leave to my grandchildren. We already decided this issue when 60% of voters chose Prop 22. Apparently, the rule of law and the voice of the people isn't enough for some people. Let's make it clear ONCE AND FOR ALL that WE WILL NOT BE BULLIED!!!!! CALIFORNIA - - - VOTE FOR PROPOSITION 8!! !